I don't know what it is, but the Charmander line of evolutions has always been my favorite of the starters. It doesn't really make sense. 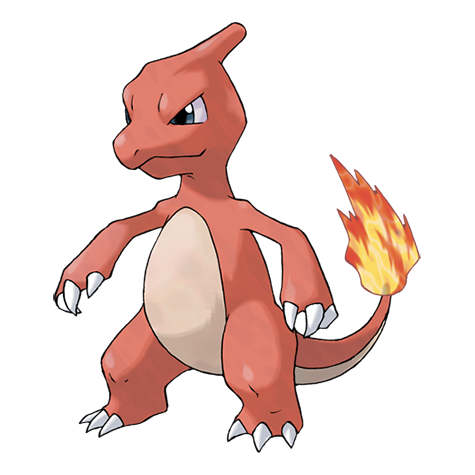 The fire lizard is the hardest to advance through the game, as only one gym leader is really weak against the Fire type. Its moveset isn't great, either, with Slash and Flamethrower being your two best options as far as natural level-ups go. I believe the middle Char can also learn Fly in Pokemon Yellow, so that's a nice little bonus against anyone that's trying to take you out. Dig, which Charmy can learn in any version (via TM) does a similar job of avoiding a potentially devastating hit. I guess Charmeleon gets some points for being fairly human-like, too. Even though it's obviously some sort of dinosaur/lizard hybrid, it kinda looks like a human, what with its two hands, two feet, ability to stand upright, and weird deformity on its head. There's also the added bonus of being able to cook s'mores or heat up a cold room with its tail. If I can roast a marshmallow AND stay warm during the frigid months of winter? Well, then we've got a winner on our hands.